The myth and the reality of Ethan Allen and the much-loved Green Mountain Boys of Vermont—a “surprising and interesting new account…useful, informative reexamination of an often-misunderstood aspect of the American Revolution” (Booklist). 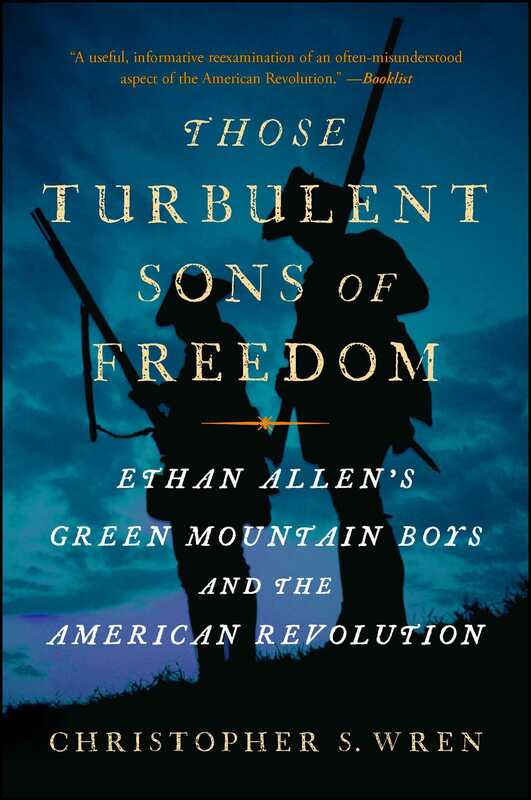 In the “highly recommended” (Library Journal) Those Turbulent Sons of Freedom, Wren overturns the myth of Ethan Allen as a legendary hero of the American Revolution and a patriotic son of Vermont and offers a different portrait of Allen and his Green Mountain Boys. They were ruffians who joined the rush for cheap land on the northern frontier of the colonies in the years before the American Revolution. Allen did not serve in the Continental Army but he raced Benedict Arnold for the famous seizure of Britain’s Fort Ticonderoga. Allen and Arnold loathed each other. General George Washington, leery of Allen, refused to give him troops. In a botched attempt to capture Montreal against specific orders of the commanding American general, Allen was captured in 1775 and shipped to England to be hanged. Freed in 1778, he spent the rest of his time negotiating with the British but failing to bring Vermont back under British rule. “A worthy addition to the canon of works written about this fractious period in this country’s history” (Addison County Independent), this is a groundbreaking account of an important and little-known front of the Revolutionary War, of George Washington (and his good sense), and of a major American myth. Those Turbulent Sons of Freedom is an “engrossing” (Publishers Weekly) and essential contribution to the history of the American Revolution. It was the lure of cheap land that drew pioneers like Ethan Allen, Seth Warner, and Justus Sherwood to leave Connecticut in one of the first great migrations in colonial New England. The virgin wilderness of the New Hampshire Grants, as Vermont was once called, attracted farmers from across Connecticut, Massachusetts, and New York, where their fathers’ fields had become unaffordable or parceled among too many sons. Some were religious separatists rejecting the Calvinist dogmas and taxes imposed by established Protestant churches to follow the “new light” of a spiritual Great Awakening across New England. These pilgrim settlers brought their children and households on horseback through the woods from Massachusetts, following native trails too narrow for a cart. What limited their numbers were the hardships of daily life on the northern frontier. Winters ran wicked cold, with blinding blizzards and avalanches of ice. Bloodsucking gnats and mosquitoes infested the humid summers. Rattlesnakes coiled among the rocks. Wolves stalked the shadows. Hacking a plot from such dense forest demanded backbreaking toil from dawn to dusk. And a screaming catamount, the fiercest predator, could vault a split-rail fence and destroy a homesteader’s livestock and livelihood in seconds. Misfits in colonial society, whether hell-raisers, fugitives, or down on their luck like Ethan Allen, found an outlet for their frustrations in the vast backcountry of the Grants, so named for several million acres that New Hampshire’s colonial governor, Benning Wentworth, granted for settlement between 1749 and 1764. The Crown encouraged governors like Wentworth to attract immigrants by offering them land to clear and cultivate. Land in eighteenth-century America was wealth for the taking. In a colonial society without banks or negotiable credit, property was the route to social status in an ostensibly classless society. Speculators vied to buy and flip grants for profit. Where fortunes could be made, rascals and mischief followed. The hierarchy of self-interest extended upward to Governor Wentworth, who grew rich on the commissions and fees he charged and the five hundred prime acres he reserved for himself in each township he created. He would charter and sell off nearly three million acres in 135 such townships, from the Connecticut River to Lake Champlain, until he ran out of land. The first he named after himself, Bennington. Once the sun dropped below the rim of surrounding hills, Wentworth’s paper townships plunged into pitch-blackness lit only by moonlight, the firefly flicker of campfires, and glowing cabin hearths. The journey was best undertaken in late winter, when the trammeled snow stayed frozen enough to make travel easier, before the ice thawed into a springtime morass of mud. Families who could afford them rode sleighs or pushed sleds up the frozen Connecticut River or Lake Champlain. They herded cattle and sheep through the valleys and foothills, passing up marginal tracts in expectation of better land ahead. Wives and children walked if there was no room in the oxcarts or sledges stuffed with farm and household implements. The more intrepid sallied forth to claim and clear their land, building a hovel habitable enough for their families to join them after the next winter. The earliest homes in the New Hampshire Grants looked nothing like the tidy farms left behind in Connecticut or Massachusetts. Logs were felled and notched to frame a cabin. More logs, split and hewed, made a floor. Bark covered the roof. Sticks plastered with clay became walls. Axes and augers were used to build a table, benches, and bedsteads. A large rock flanked by smaller stones formed the fireplace. The huts filled with smoke and leaked with rain, and were occupied before they were habitable. In winter, hefty logs would be fed into the fire and kept ablaze, not just for warmth but also to keep away predators. Homesteaders slept on their unburned woodpiles, swaddled in animal pelts. When the French and Indian War spilled into New England, its militias marched north to fight for the English king, hacking a road through the forests to Lake Champlain. The peace that followed France’s surrender of Quebec in 1760 opened up the New Hampshire Grants as prime real estate. Veterans coming home from the war raved about fertile topsoil and trees so thick that it was hard to ride a horse among them. In the decade that followed Britain’s treaty with France in 1763, the Grants swelled with nearly eighteen thousand new immigrants, including the children conceived during the long nights. Ethan Allen was almost thirty-one years old when he fled to the New Hampshire Grants around 1769, trailing failures, beset by lawsuits, and in a boring marriage. He had been born in northwestern Connecticut on January 10, 1738, but when he was two, his father moved the family to Cornwall, a settlement that he helped start. Farmers toiled six days a week on the stony soil, coaxing out crops between pine stumps. Their wives spun clothes at home from local flax or wool. Families came together on Sunday to worship in an unheated meetinghouse, where Joseph Allen, a Church of England adherent, arranged for a preacher. He wanted Ethan, the eldest of his eight children, to go to Yale, Connecticut’s only college of higher learning, and scrimped to have him tutored by the local minister, a Yale alumnus. Joseph’s sudden death in 1755 ended Ethan’s formal education. A local tale remembered Ethan, at seventeen, standing on his father’s grave, challenging him to reveal whether there was an afterlife. Ethan started early to dispute religious matters. He did not disbelieve in God, but didn’t much like Him. He ridiculed the doctrines of original sin and the divinity of Jesus, taken as holy writ across New England. Ethan was twenty-four when he married Mary Brownson, who may have been the only woman who would have him. His bride was devout and a half dozen years older, but she came dowered with some land that her father parceled out among his eleven children. She likely couldn’t read or write, for she signed their wedding certificate with a cross. Mary would weary of her husband’s zest for argument and his contempt for religion. Ethan may have chafed at his wife’s piety. Though he would sire four daughters and a son with her, he contrived ways to be absent more often than not. With a family to feed, he quit farming to work a marginal iron mine and forge in Salisbury, Connecticut. He had a violent temper and was charged with assaulting a neighbor who bought his stake in the forge. Profanity got him accused of public blasphemy. He was later ordered out of Northampton, Massachusetts, where he tried to run a lead mine, after quarreling over religion in a tavern. His neighbors could not have been sorry to see him depart for the New Hampshire Grants. Around 1769, Ethan Allen left his wife and three small children in the care of a brother in Massachusetts, and set out into the Grants beyond the Berkshire hills to join his cousin, Remember Baker, hunting deer and selling their hides. Baker had fought the French and Indians as a teenage ranger before settling in the Grants in 1764. Another cousin, Seth Warner, followed to explore the forest as an amateur botanist, collecting medicinal herbs for his father, the local doctor. Their companion Justus Sherwood arrived later in 1771. As life grew better for the homesteaders, so did the good life for Governor Wentworth, whose ingenuity in skimming a profit from his land grants made him one of the richest men in New England. Wentworth’s success was a source of envy for New York’s lieutenant governor Cadwallader Colden, who deemed the unruly Grants less loyal to the Crown than New York, where Hudson River aristocrats followed the English custom of employing tenant sharecroppers to farm their estates. Homesteaders like Ethan Allen, Seth Warner, and Justus Sherwood expected to own what they tilled. So Colden claimed the same property on behalf of New York in April 1765, and ordered settlers in the New Hampshire Grants to pay New York a confirmation fee or face eviction. 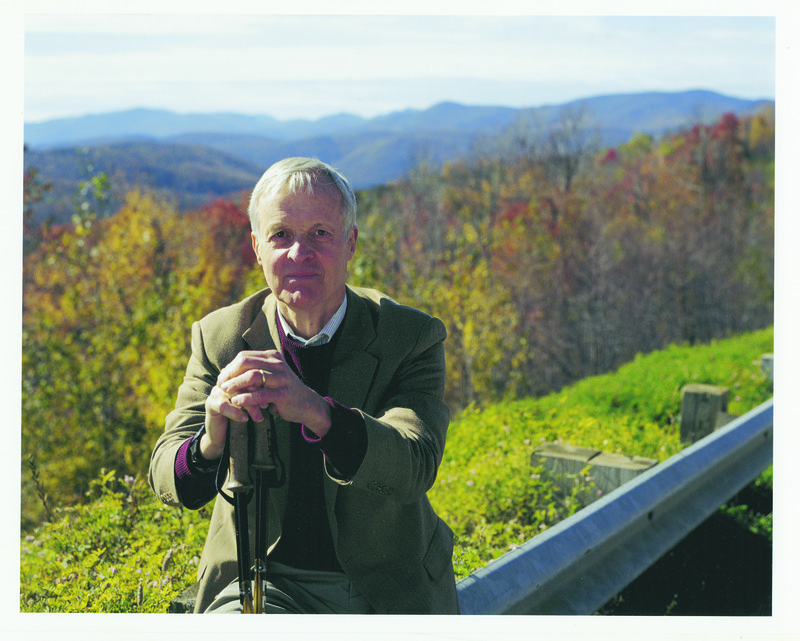 He sold off titles to 36,000 acres that Wentworth had already granted. The fees alone totaled more than $196,000, from which he pocketed $30,000—a fortune worth more than a million dollars today—until he ran out of the watermark stationery required for legal transactions under Britain’s Stamp Act. Colden knew that New York and New Hampshire’s Grants were divided by more than overlapping claims of geography. In colonial America, Yorkers and Yankees were bred in the bone to mistrust each other as ardently as they disliked Virginians or Carolinians. Yorkers disparaged Yankees as vulgar and insolent, and thought their penchant for thrashing out differences in public verged on anarchy. Yankees were contemptuous of Yorkers as subservient and intolerant and feared having their farms swallowed up by New York’s feudal system of baronial manors. Ethan Allen would turn their resentments to his advantage. Governor Wentworth assured his customers that their deeds were legal. New York, he charged, had failed to populate a single township in the Grants. He was shoved out of office in 1767 after granting himself titles to another 65,000 acres—more than a hundred square miles. The Board of Trade and Plantations, which supervised colonial commerce from London, accused him of selling land more for private gain than public good, and replaced him with his nephew. Never mind, for Benning Wentworth, at the age of sixty-four, married his pretty housemaid, who was more than four decades younger. When he died six years later, she claimed his fortune. In June 1770, lawsuits to eject nine titleholders from their farms around Bennington were bundled together for New York’s highest court to decide. Ethan Allen was hired to gather proof of ownership for the lawyer defending their claims. He rode to New Hampshire’s capital at Portsmouth, where he seized the chance to buy five hundred acres from Governor Wentworth in a promising new township, named New Haven after Connecticut’s, in the foothills east of Lake Champlain. He paid twenty-five Spanish dollars—about five cents an acre. New York’s chancellor Robert Livingston heard the appeal of the New Hampshire titleholders in Albany’s city hall on June 28, 1770. He ruled that the documents Ethan Allen provided were not legal and refused to let the jury look at them. His verdict rendered null and void every charter that Governor Wentworth had granted, and relegated titleholders to trespassers on their own farms. Ethan Allen was advised to settle on the best terms he could, and loaned a horse and expense money to ride back to Bennington, where a surly crowd packed its Catamount Tavern. He exhorted them to fight the evictions. He knew as well as the settlers that they had no chance of surviving, much less prospering, in the Grants if New York took title to land they had cleared and planted. Allen, in effect, was declaring war on New York, organizing his followers into committees of vigilance around the Grants, with himself as their colonel. His captains included cousins Remember Baker and Seth Warner. The vigilantes called themselves “New Hampshire men,” but when New York vilified them as “the Bennington mob,” Allen embraced that name. An early warning system evolved to stop New York from seizing land in the Grants. When New York authorities tried to evict a farmer from New Hampshire, Allen’s vigilantes rode in to take back the property and mete out reprisals. Governor Tryon boosted a reward for Ethan Allen’s capture to £150, and £50 each for his cousins Remember Baker and Seth Warner. The price on Ethan’s head did not constrain him. On a bet, he walked into a tavern in Albany, New York, ordered a bowl of potent punch, and handed his “wanted” poster to the landlord, then drained the punch and swaggered out unchallenged. Tensions were running high when an armed posse from New York arrived on sleighs early one Sunday morning to capture Allen’s cousin Remember Baker, and burn down his cabin. They smashed in the door with axes. Baker’s wife, Desire, tried to stop the abductors, who gashed her cheek and elbow with a sword. Their twelve-year-old son was slashed when he tried to protect his mother. Baker, who had been asleep in the loft, jumped up naked from his bed and fought back with his axe. Outnumbered, he knocked out a board on his cabin roof and leapt into a snowdrift too deep to escape. A swinging cutlass hacked off his thumb. He was beaten senseless and tossed into a sleigh to be hauled back to Albany. From Arlington and nearby Bennington, a score of Green Mountain Boys saddled up and gave chase. The attackers, taking them for a larger force, dumped Baker and fled back to New York. John Munro, the New York magistrate who led the failed raid, identified fourteen of the Green Mountain Boys, among them Seth Warner and his friend Justus Sherwood, and clapped bounties on their heads. The next day, Sherwood returned with Warner to get Baker’s musket back. Munro grabbed the bridle of Warner’s horse, and ordered his arrest. Warner whipped out his cutlass and, with Sherwood covering his back, whacked Munro so hard with the flat of the blade that the Yorker dropped to the ground. The blow, cushioned by his hat and thick mop of hair, left him stunned but alive. Warner and Sherwood trotted away. To enforce his strategy of intimidation, Ethan Allen led nearly a hundred vigilantes into the town of Clarendon the next winter to punish the magistrate Benjamin Spencer, who hid from them overnight in the woods before fleeing to New York. They bashed in his door with a log and hacked his dog to pieces. Convening a mock court, Allen threatened to reduce every house to ashes and leave every inhabitant a corpse if his Green Mountain Boys had to come back. “None but blockheads would purchase your farms and must be treated as such,” he warned. For all his bluster, Allen knew how far to press his threats to advantage, for no one got killed. Instead, the Yorkers and their local collaborators were publicly thrashed with “twigs of the wilderness”—supple birch switches with the bite of a rawhide lash. Whipping was accepted punishment for petty criminals in the colonies. Ethan Allen’s vigilantes in the Grants declared anyone with a magistrate’s commission from New York to be their enemy. After one tipped off the authorities in New York City, the Green Mountain Boys tied him to a tree and whipped him two hundred times before jeering spectators. As soon as his bloody back was dressed, he was banished from the Grants with no time to collect his family, and promised five hundred more lashes if he returned. Even law-abiding Yorkers faced being driven off their land or having houses and crops damaged. One doctor advised his neighbors to buy their land titles from New York. Though armed with a brace of pistols, he was dragged to the Catamount Tavern, tied to a chair, and hoisted by rope above the two-story tavern, next to a stuffed catamount atop the signpost, its teeth bared toward New York. He was left dangling for a couple of hours to the amusement of passersby. By the following June, 1773, Tryon asked Frederick Haldimand, the Swiss-born general commanding British forces in New York, for regulars to put down the “riots” in the Grants. Haldimand refused, reasoning that New York’s militia could suppress the lawbreakers. He would hear more from Ethan Allen and his mob. In the autumn of 1772, Remember Baker had led Ethan’s youngest brother, Ira, on an exploration of Lake Champlain. Ira knew good land when he saw it and urged his brothers to invest in property along the east coast of the big lake, for as he explained, “that was the country my soul delighted in and where, at all events, I was determined to make settlement.” The Allen brothers plunged into the rapacious sort of speculation that they professed to despise. With neither capital nor official contracts, Ethan and his brothers Ira, Heman, and Zimri joined their cousin Remember Baker (though not Seth Warner) to create the Onion River Land Company, which leveraged property that they didn’t own to buy land that they couldn’t afford and to which New York said they were not entitled. While Allen lobbied from Bennington, Ira Allen and Remember Baker returned to protect their investment. At the first waterfalls before the Onion River empties into Lake Champlain, they built a log blockhouse and stocked it with muskets and gunpowder to repel Yorkers with rival claims to the land. “We never walked out without at least a case of pistols,” Ira boasted. The Onion River Land Company did not own the property, so Ethan set out to buy titles from the speculators in New York. In February 1773, Ethan and Ira Allen rode with Remember Baker down to White Plains, north of New York City, to buy as much land as a prominent Quaker real estate investor would sell them on extended credit. Ethan, Ira, and Remember, who were hunted in New York, assumed the disguise of British officers traveling from Canada to catch a ship for London. Their brother Heman booked them into a local tavern. When they settled their bill several days later, the landlord was startled to learn that his jolly guests in scarlet uniforms were Yankee outlaws. Over three days, the Allens contracted to buy more than forty thousand acres in the Grants for less than ten cents per acre. The brothers and Baker rode off to do business with another Quaker who was appalled to see the pistols and swords that his visitors were carrying, but put them up anyway. The Quaker investors knew that their titles in the New Hampshire Grants had become worthless in New York, and were eager to dump a sour investment. Between 1773 and 1775, the Onion River Land Company accumulated a little more than 77,000 acres along Lake Champlain, but may have sold only 17,000 acres. The Allens and Remember could not agree on who owned what, and dissolved their real estate speculation in March 1775. They resolved to sort out their differences a year later. But by then, Ethan Allen would be missing at sea aboard a British warship. Remember Baker would have his head cut off. Seth Warner and his Green Mountain Boys would be fighting for their lives in the frozen wastes of Quebec. The Green Mountain Boys relied upon a loose network of friends and neighbors, not all of whom shared Allen’s hatred of New York. When Justus Sherwood arrived from Connecticut, he made friends with Seth Warner, who was working as a road surveyor in Bennington. Sherwood staked out his pitch in the foothills of Lake Champlain, a fifty-acre plot in the new township of New Haven, where Ethan Allen had bought five hundred acres from Governor Wentworth, and set to work clearing his patch of forest, girdling and burning the trees, pulling out roots, wrestling rocks into boundary walls. The other settlers elected him their equivalent of town clerk, entrusted with keeping New Haven’s records. He was also invited to join a select group of thirty-five speculators promised an additional 150 acres each “for the more speedy settlement of this town” if they cleared and cultivated at least five of the acres by the following June 1775. His partners included Ethan and Ira Allen, Seth Warner, and other Green Mountain Boys whose loyalty Ethan wanted to reward. Sherwood accumulated up to sixteen hundred acres in the Grants. He built a snug log cabin for his new wife, Sarah, and planted an apple orchard to make hard cider, the most popular beverage. The fields he cleared grew hay to feed his livestock, and wheat and oats to support his family. Corn, potatoes, and green vegetables filled his garden. Unlike his neighbors in the Grants, where adult slavery would be declared illegal in 1777, Sherwood employed several African slaves. On the eve of the American Revolution, as many as one in four Connecticut households had slaves. Homesteaders like Sherwood had more in common with their Canadian neighbors than with the Yorkers. The best markets for their lumber, potash and grain, cattle and sheep lay through Montreal, not New York. By 1771, the bulk of oaken barrel staves shipped from Quebec to Britain came from the Champlain Valley. Only the southwestern Grants lay closer to the Hudson River Valley and Albany than to Montreal. This geography would shape loyalties in the revolution to come.